In a perfect world, every auto shop would be passionate and committed to helping their community of drivers maintain safe and healthy cars with top quality and honest work. Not every auto shop is the same, however, as drivers with years of experience may have learned. 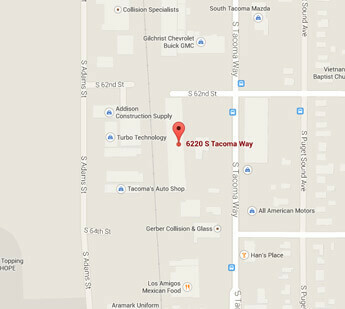 If you are looking for a trusted mechanic shop in Tacoma, WA, here are a few things to keep in mind. Look for an auto shop with highly trained ASE Certified technicians capable of working on all makes and models, or even specialists for your specific vehicle type, whether it’s an import car, 4×4, trailer or tractor. If your vehicle needs specific work, such as transmission repair, look for experts in the industry that have the appropriate tools and knowledge to handle the task. Competitive auto shops continually train their technicians to keep up with new technology and industry standards and to better serve their loyal customers. Of course, you want to find an auto shop that excels in customer service, too. A friendly team of trustworthy technicians can make bad news after a breakdown easier with helpful advice and repair options or with conveniences like loaner cars or shuttle services. Even in routine maintenance services, an auto shop should lookout for you and your car first, not for unnecessary problems to create costs. Not all drivers are intrigued about what goes on under the hood to get a car going, that’s why there are auto mechanic experts! A good auto repair shop takes the stress out of car maintenance so you can focus on your own passions. From a clean work environment to a friendly, knowledgeable and helpful staff, a good mechanic shop upholds professionalism in every aspect of its business. From the moment your car rolls into the shop, its services and your needs should be top priority. The best auto shops are equipped with the advanced technology needed to accurately diagnose and repair any problems, transparently and promptly. You shouldn’t be kept in the dark about what’s going on with your car. Expect a team of professionals to share information and keep you updated on the status and condition of your vehicle.